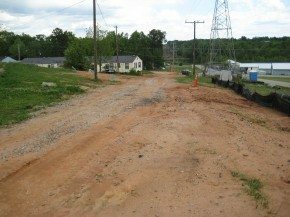 The City of Union received an infrastructure grant from the S.C. Department of Commerce in July of 2011 to upgrade the sewer lines that serve the Hwy 48 Apartment complex. The low to moderate income residents were experiencing sewer line back-ups on a regular basis. The new lines will provide the residents with adequate sewer service for years to come. The project is projected to be completed by the middle of October, with some minor paving being the final task to complete.